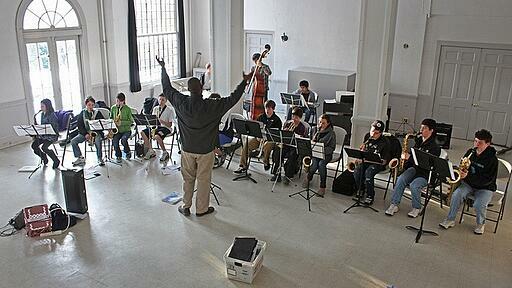 Do Group Music Lessons Benefit Kids? Parents want the very best for their child – the best schools, friends, and hobbies. Most parents also want their child to be involved in music somehow, whether through singing or playing an instrument. Music, either in private or group lessons, benefits and enriches their lives in many ways. Allowing your child to be a part of a music school like Creative Soul in Ft. Worth, TX, will not only benefit them, but parents, as well! Research has confirmed that learning and making music in a group setting improves quality of life and even helps us build deeper relationships. Parents who worry about their children making friends should seriously consider placing their children in group music lessons. The benefits of being a part of a group with shared interests and a common purpose cannot be underscored. Below is a list of just some of the benefits you could see in your children if you enrolled them in group music lessons. Learning music theory can sometimes be challenging and boring, but learning music theory in a group gives the teacher opportunities to teach theory in fun and engaging ways that will help your child enjoy and learn more about music. Ear training is also another skill that is best learned in group training. 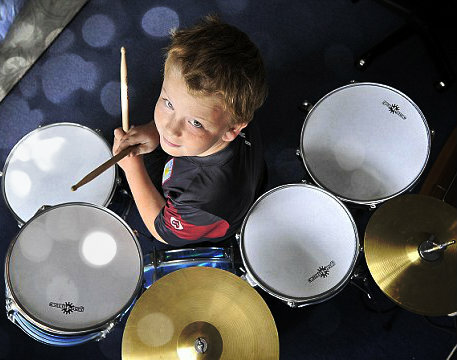 Private lessons can put a lot of pressure on a child, but playing in a group helps kids relax and enjoy the music more. Since your child would be playing music in front of people every week, they would become less inhibited and more confident in playing their instrument. If your child is shy or bashful, group lessons could help them overcome insecurity and build confidence – all while being with friends! In a group setting, children would be exposed to different types of music and instruments that would allow them to be more flexible and versatile in their playing. If you’re a parent, you know that nothing can motivate your kids more than their peers. In group lessons, your child will be motivated and inspired to work hard and try new things. Playing music in group lessons also encourages positive competition. Children can learn from and encourage each other to enhance their musical skills. Playing in ensembles and regularly performing helps develop a sense of team spirit that is not really achieved in private music lessons. Playing music in a group helps develop music skills, as well as a support system among the kids as they work together and encourage each other. These are only a few of the benefits your child would receive if given the opportunity to be in group music lessons. Each of these reasons also helps your child develop socially as well as see their value as a group member. They will grow in creativity and be more likely to sing in a group as opposed to a private lesson. Also, if your child tends to have a short attention span, the variety of options and activities available to them in a group setting would help them find something they really enjoy. If you think these lessons would only benefit your child, think again! Knowing that your child is making friends and acquiring lifelong skills will bring you great joy. Also, while your child is in their lesson, you have time to run errands or have some time to yourself for a change! Creative Soul also offers several different summer camp options. Summer Rock Day Camp is a week-long day camp where kids play in a band, write an original song, make a music video, and perform in a live rock show! Any child age 7-17 is welcome. Creative Soul also has camp options for younger children. Their “Once Upon a Time” and “Superhero Training Camp” are guaranteed fun for the kiddos, and rest for the parents! Group music lessons offer so many benefits for you and your child. They will learn so much about music, making friends, and developing skills that will benefit them for years to come! Check out Creative Soul Music School to get your child enrolled today! Have you put your child in group music lessons? What benefits or changes did you see? Share your experience in the comment section below.